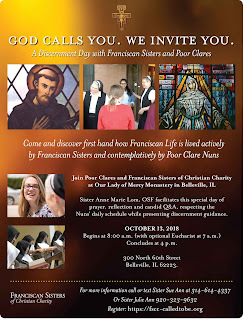 Franciscan Sisters of Christian Charity are hosting a Discernment Day: Start by doing what's necessary; than do what's possible; and suddenly you are doing the impossible. 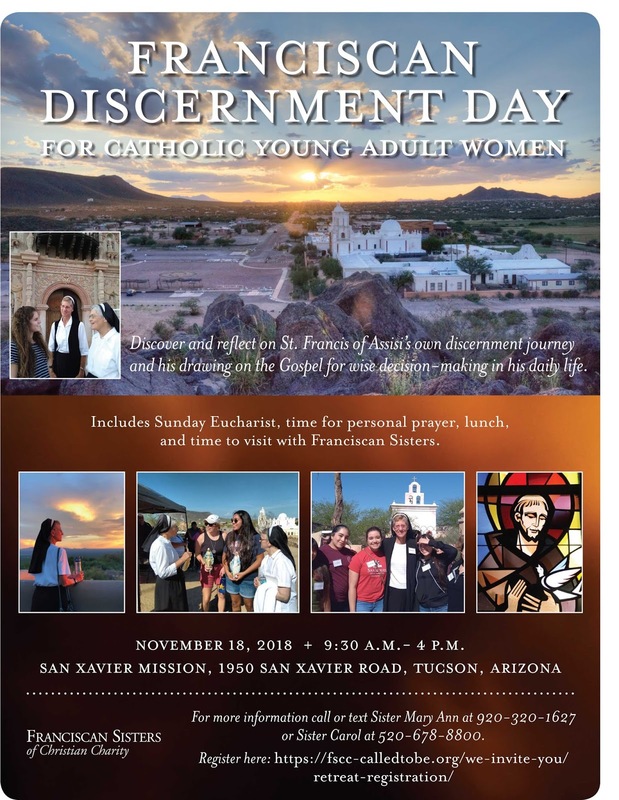 The quote by Saint Francis of Assisi is an invitation to an experience that is being held at San Xavier Mission, Tucson, Arizona on November 18, 2018. 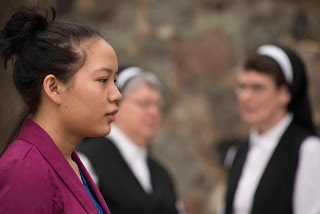 After meeting the Sisters at the entrance gate of San Xavier Mission at 9:30 a.m., young women will be lead through Franciscan prayer helps for discernment and given additional silent prayer time for personal reflection. Run in love to the race that is set before you. Run with patience which is especially necessary for you, that, while doing God's will, you may receive what is promised. For God is able to bring to completion with joy what you have begun with his grace beyond your powers, because He is faithful to his promises. 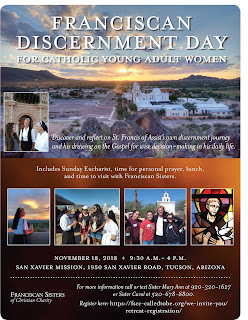 At noon, our Sisters will furnish lunch at San Xavier Convent nearby. 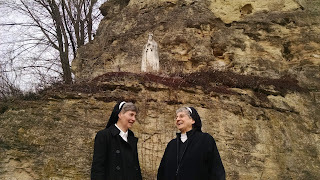 Conversations with the Sisters will continue allowing for any burning questions to surface. Eucharist will close the day back at the Mission Church.